KATHMANDU, July 29: The ex-president of the Airlines Operators Association of Nepal Captain Rameshwor Thapa has resigned from his post from the working committee of AOAN over discussions regarding the use of helicopters in tourist rescues and the issue of fake rescues. 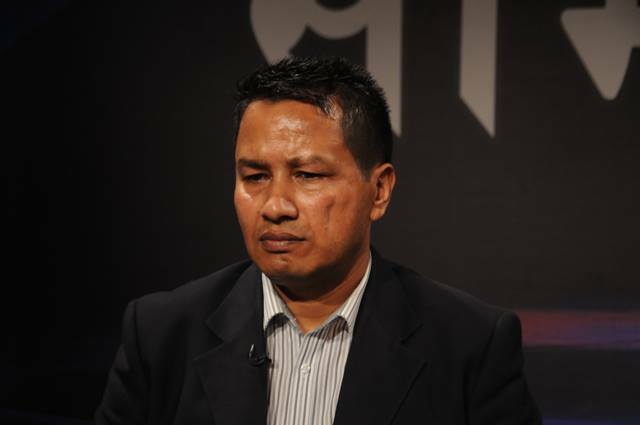 Thapa, who is the President of Simrik Air, has resigned not only from his post in the work committee but also his membership from the organization. The Ministry of Culture, Tourism, and Civil Aviation had formed an investigative committee to probe into the issue of fake rescues of tourists. Thapa had stepped up to coordinate with the committee after it demanded for the details of all rescues and passengers from helicopter companies, and had been denied entry into the investigation, after which he resigned from AOAN. "He had called for a meeting regarding the condition of helicopter businesses and rescue operations, but after comments that the meeting is best called by the entire work committee, he resigned from his post," said one work committee member. "After the ministry demanded the details about the condition of helicopter rescue operations, he had stepped up with the willingness to help, but the ministry did not allow him the responsibility, leading him to resign from his post," he said. Thapa's resignation came suddenly after comments that the matter should be taken organizationally and not individually. The Managing Director of the organization, Kamlesh Kumar Barma, said that his resignation states increased engagement in personal occupation and lack of sufficient time for the organization as reasons for his resignation. Simrik Air released a press note after his resignation which committed to providing any help required by the investigation committee. "There has been illegal activity in the helicopter business for the first time. Unhealthy competition has increased and the organization has done nothing to control it. That is why I have resigned, not to remain even as a general member in the organization," said Captain Thapa, "the government is currently investigating some illegal activities that take place in the name of rescue operations. There was no call from the organization that we had an obligation to help the investigation."